Tupac Shakur in a scene from the film 'Gridlock'd', 1997. Items owned by Tupac Shakur have been donated to Temple University, including a bullet-dented golden medallion the rapper was wearing in 1994 when he was shot five times. The rapper's items will be on display at the school's main campus at the Charles L. Blockson Afro-American Collection. The collection consists of roughly 500,000 items detailing "the global black experience." "For a hip-hop head, this is truly a dream come true," said Aaron Smith, a professor of Africology and African American Studies who teaches a Shakur-focused class at Temple. Also included in the donation is the diamond earing Shakur wore while pictured on the cover of the album "All Eyez On Me." Jewelry plays a significant role in Shakur's story, according to Smith. 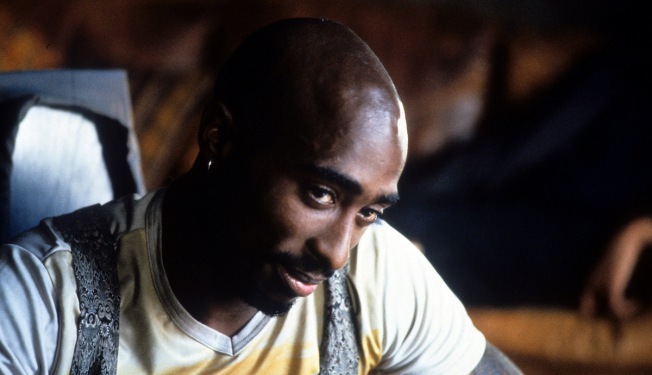 "There is a lot of mystery around Tupac and his jewelry," Smith said. "To have some of (it) here means a whole lot." Diane Turner, the collection's curator, said Thursday that the Blockson Collection will increase its focus on hip-hop culture with the addition of Shakur's items. "This is just the beginning of a long journey to collect and preserve hip-hop culture," Turner said.